Advanced materials are crucial in the human history. They have influenced large eras such as the Stone Age, the Bronze Age, and the Iron Age so intense that they became eponymous. In each of these epochs, mankind has experienced a great evolutionary step by developing new materials, technologies, and applications. This is still the case today: 70% of all innovations are based on new and further developments in the field of advanced materials. North-Rhine Westphalia is a classic material country. 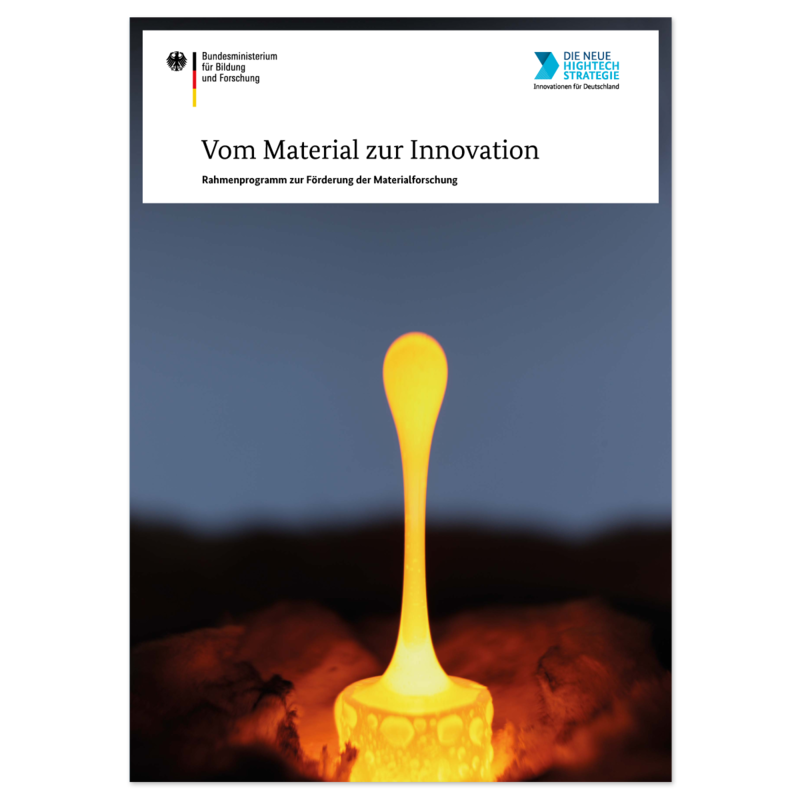 With a focus on metals as well as modern, functionalized multi-material solutions, the NRW-material sector with more than 720,000 employees, over 200 billion euros in turnover and over 6,000 companies and research facilities is a key pillar of the economy and prosperity. In the country of the time-honoured steel smelting furnaces today, high-strength steels are being developed for light-weight applications, which enable important innovations in all markets. For example, the multitude of innovative materials that have been developed by the companies and research institutes in North Rhine-Westphalia in recent years has opened up new potentials for all lead markets and the entire field of the supplier industry. An example for the influence of new materials on the lead markets is the information and communication industry in NRW: the speed in which mobile phones, computers and network architectures would be unthinkable without using advanced materials. In the life science sector, the vitality and quality of life of the people is significantly increased by various new developments. Resource conservation and environmental protection – the entire e-mobility revolutionizes the area of mobility and logistics, and is mainly based on new materials and techniques, which are used, for example, in lightweight construction and battery technology. Over 720.000 employees, over 200 200 billion euros in turnover and over 6.000 companies and research facilities are connected to advanced materials in NRW. The Ministry of Culture and Science of the State of North Rhine-Westphalia has created a competence map on materials research in NRW. The database provides an overview of the current research landscape and provides many contacts for all key markets along the entire value chain. 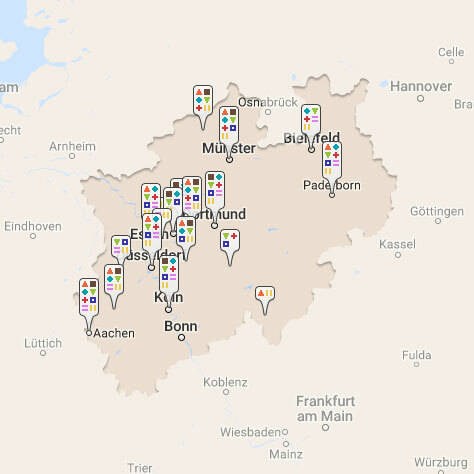 Click here to call up the map for materials research in NRW. 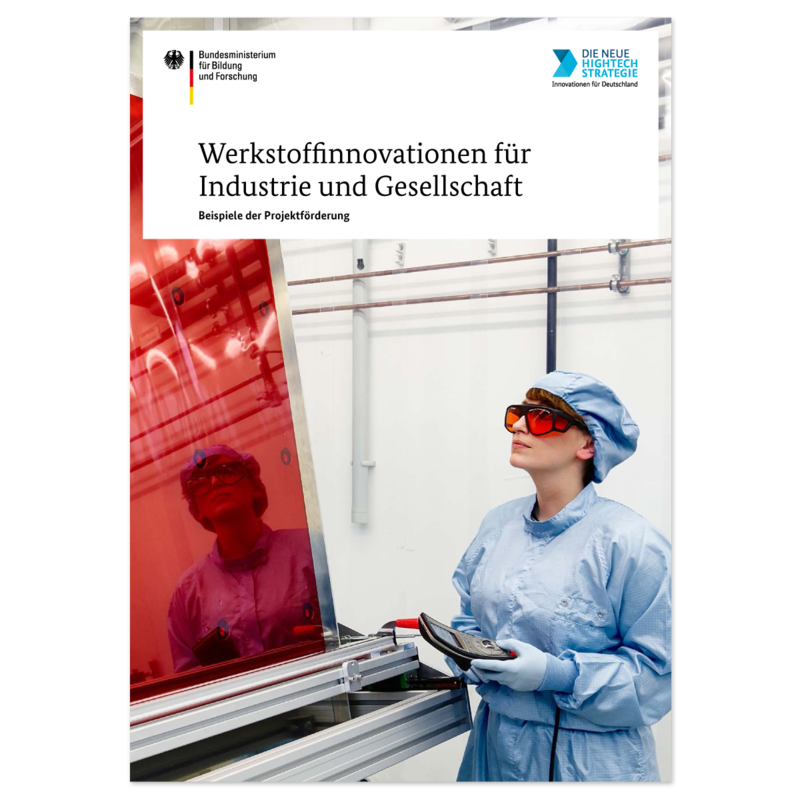 In addition, the German Federal Ministry of Education and Research has created the “Materialkarte: Forschung und Innovation”. To get to this map, please click here. North Rhine-Westphalia occupies the top position in a nationwide comparison. Research focuses on the Aachen, Bochum and Paderborn areas, while entrepreneurial focus is on the Ruhr Metropolis (Bochum, Dortmund, Duisburg, Essen) and the Rhineland. As a result, North Rhine-Westphalia is one of the most important locations for advanced materials in Germany.